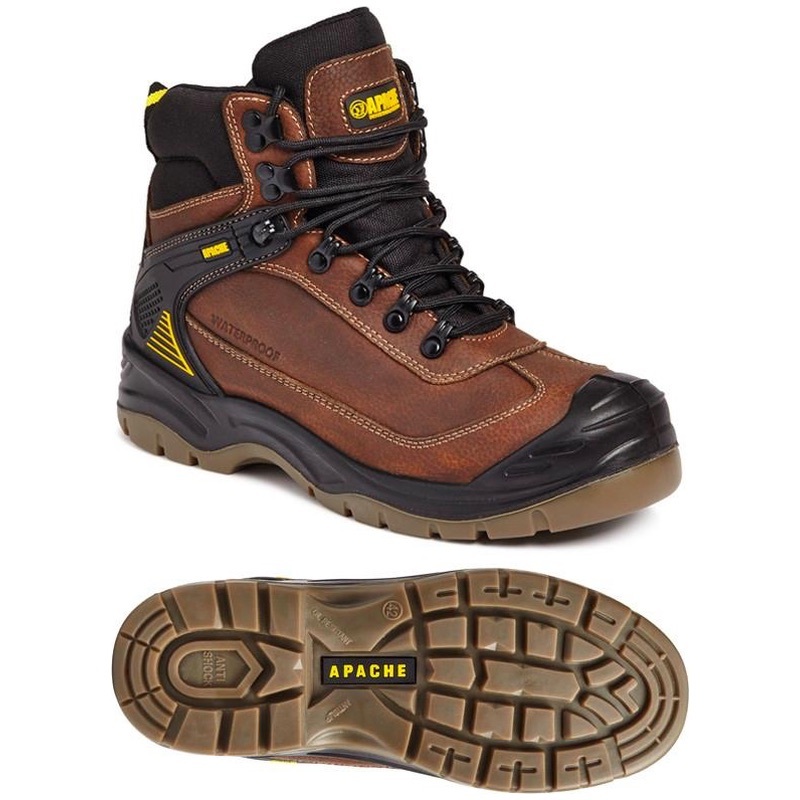 The Apache Workwear brown full grain leather waterproof safety hiker. Padded collar and tongue for added comfort. Steel toe cap and steel midsole protection. Waterproof and breathable inner lining. Dual density polyurethane outsole with anti-scuff toe guard. Anti-static. TPU Heel support and kick plate. A good all round waterproof safety boot for a wide range of outdoor applications.